Discussion in 'General Knife Discussion' started by Meshach, Sep 15, 2018. Any recommendations on some production models? And kukri esque is ok, but im not super into kukri. Enep or Bolo are fine though. Sorry i should clarify, production models. 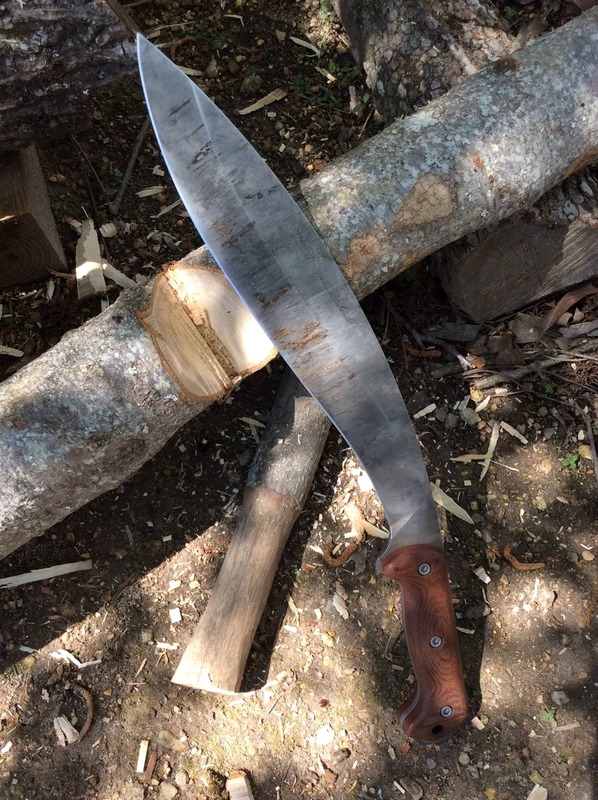 Also not kukri necissarily, recurve, Bolo or enep though! I’ve got a Ontario SP53 in the mail. It looks like it’s gonna be a good chopper and priced well. Thats a good one! 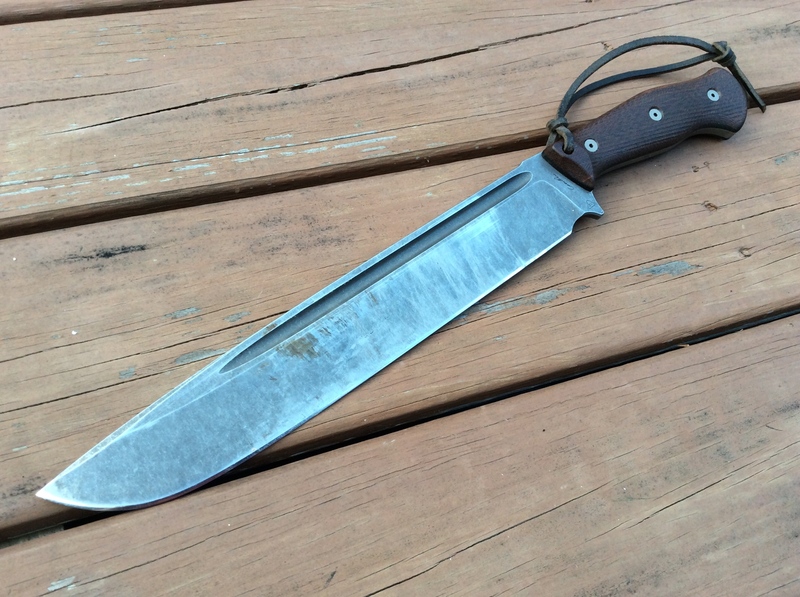 I have one myself but am looking for something a little longer, above 12 inch blade length. 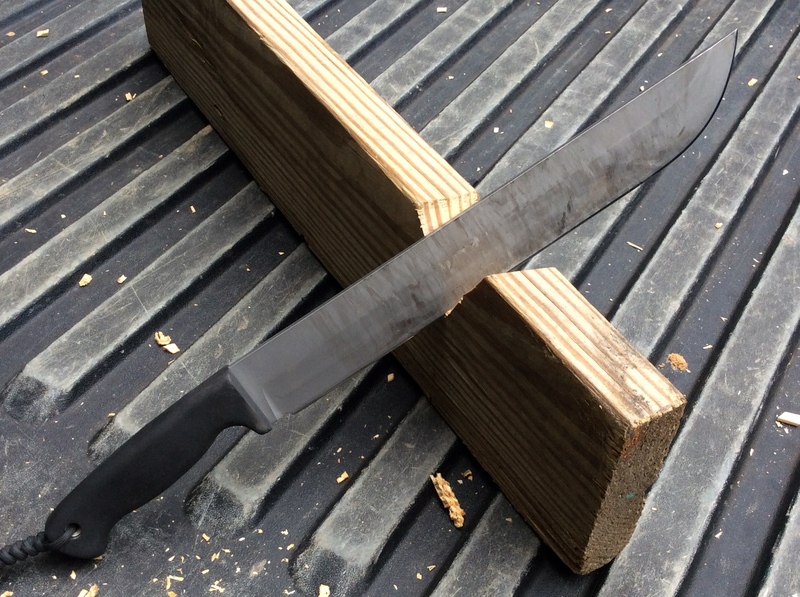 Eta: i love the 5160 steel and it is a bargain for what is offered. I wish they wouldnt have discontinued the majority of he sp 2nd gen line. Too short still, at LEAST 12 inches of blade and that is the minimum i am looking for, prefferably more like 14-18. If ontario made an sp 53 style that length it would be perfect. I might jus have to have someone make what im after or make it myself. I don't know what they have in this specific area, but you might try "Traditional Filipino Weapons" web site. From memory the Zombie Tools Reaver Cleaver. Cool af but Its got no recurve. I'll add even though it is likely to get hated on the Mtech Extreme Raptor mx8070, yes I said it. Everything in this list is under $50 with the exception of the Becker. Sorry about that I went and looked it up, what about something from Aranyik? Ii’ll have to check one out, it looks a little thinner than i was imagining but that will probably be a good thing. GriffinX (handmade by Bryan Fletcher). Runs in the $300 area depending on how you want it made. Supercool, looks like they come in at 10inches though, might be costly to get the length i want going that route. 3fifty7, MarriedTheMedic, SpySmasher and 4 others like this. Im not really into kukri, but of course, the becker would be an exception! What are the two above? No recurve on those but they are cool! The top one is a CPK Behemoth Chopper. Second one is the SYKCO 1311 that I stripped. MarriedTheMedic and ShannonSteelLabs like this.